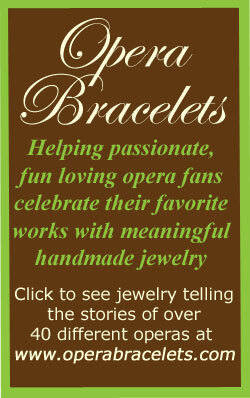 Rochester Lyric Opera, Scenes from Opera and Broadway, Oct 4, 3:00 pm. 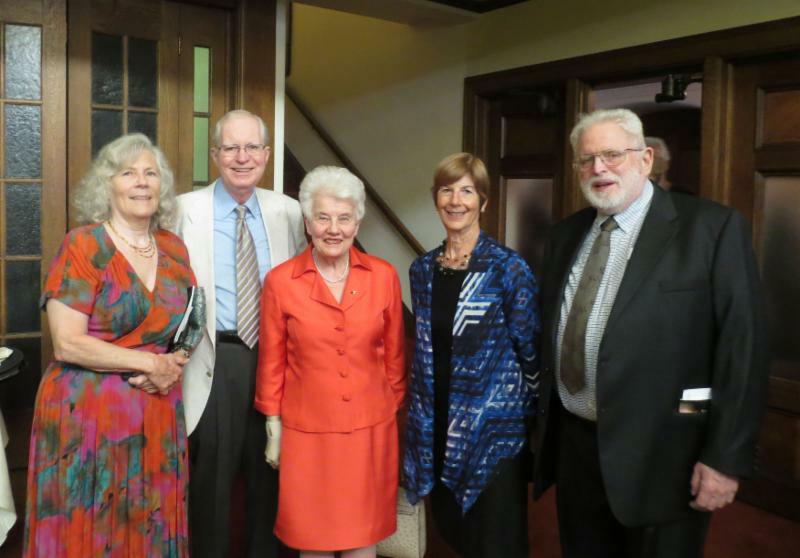 Notes from your Opera Guild: Board members attend the 10th Anniversary Gala of the Lyric Opera of Rochester. Sunday, October 4, at 3 p.m.
Allyn Van Dusen and Susanna Adams will direct twenty talented area singers, who will perform scenes from Jane Eyre, Cosi fan tutte, Die Fledermaus, Street Scene, The Secret Garden, and Der Rosenkavalier. Kevin Nitsch will accompany them on the piano. "Bad Girls in Opera," Wednesday, Oct 28, 12-1 P.M.
Come see and hear these operatic bad girls, from the truly evil Medea to the merely naughty Natasha, and all the scheming, seductive and manipulating women in between. 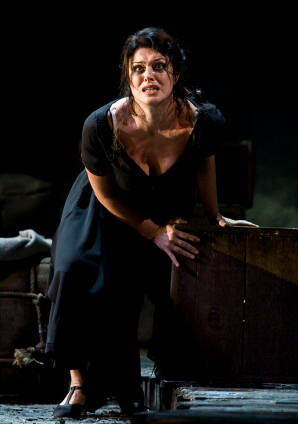 We will also ponder the most important question of the nineteenth century: Was Carmen actually a bad girl? Nov. 6, 2015 at 8 p.m.
On the evening of Friday, August 28, a satisfyingly large number of Rochester's opera-loving community gathered to celebrate Rochester Lyric Opera's tenth anniversary and the first formal presentation at the new Lyric Theater. The principle work was Mozart's The Impresario (Der Schauspieldirektor), composed in 1786 to a libretto by Gottlieb Stephanie (who was himself an actual Schauspieldirektor in Vienna.) At the age of 30, Mozart was at the height of his powers and the opera is contemporary with Le nozze di Figaro and Don Giovanni. It was written specifically for the amusement of the Emperor Joseph II and a small gathering at court. A short work, Mozart labeled it a "comedy with music" rather than a "comic opera." It is a typical Singspiel (German comic opera) and includes a speaking role (Frank, the Impresario.) The Singspiel is a lineal ancestor of the American Broadway musical and ordinarily contains a considerable amount of spoken dialog. As is common, here the dialog was translated into English in a remarkably witty adaptation, much to the delight of the audience. The arias were sung in the original German. The plot is set in the office of an operatic impresario, and relates the conflict between two competing prima donnas. Frank, the Impresario, was admirably played by Matt Ames, who has acted for several regional companies and is Associate Professor of Theater and Dance at Nazareth College. The two competing sopranos, Madame Herz ("Heart") and Mlle. Silberklang ("Silvertone") were sung delightfully by Susan Delly Cotroneo and Brittany Mruczek, respectively. The two male roles, Buff and Vogelsang ("Birdsong,") were deftly portrayed by Mitchell Hutchings, buffo baritone, and tenor Grant W. Knox. The first half of the program consisted of several scenes from Mozart's Le nozze di Figaro and Cosi fan tutte in semi-staged settings presented by Cotroneo, Hutchings, and Knox, along with mezzo-soprano Allyn Van Dusen. Of particular note was "Voi che sapete" from Figaro, sung splendidly by Ms. Van Dusen as Cherubino, horny teenage page to Figaro's master, the Duke. The first half ended dramatically with "Soave sia il vento" that closes Act I, scene 2 of Cosi fan tutte. Mss. Cotroneo and Van Dusen and Mr. Hutchings did justice to this beautiful and powerful trio, one of Mozart's finest ensembles. The small but proficient orchestra was ably directed by Eric Townell, playing the overtures and providing the accompaniment to the vocal scenes. An appreciative audience of almost 800 enjoyed this premiere of the Rochester Lyric Theater. The building was previously a church and is an architectural marvel with superb acoustics. However, this venue is not yet a proper theater. There is now no orchestra pit; Maestro Townell and his orchestra were set up between the audience and the stage and frequently the orchestra drowned out the vocalists. The stage is not completely visible to all the audience. The lack of adequate dressing rooms prevented the singers from properly changing their costumes and they were inappropriately attired in some of the scenes. But the scheduled renovations will soon begin and, when completed, Rochester will boast one of the finest opera houses in the region. We are all looking forward to that day! Last month, in her review of Midsummer's Night Opera debut performance of Cosi fan tutte, Carol Crocca inadvertently mis-identified one of the singers. It was Madeline Caine who sang Fiordiligi so well at the performance on Wed, Aug 19.